In Brief: Well before it's famous use in the SuperS Special, the first opening of the Sailor Moon S season suggests that Sailor Mercury was originally supposed to gain that attack during that season. 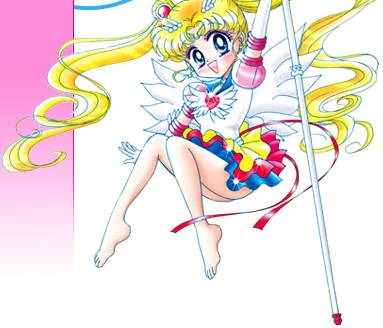 The Sailor Moon musicals also hint at this with the 1994 Summer Special Musical: Usagi's Road to Becoming a Soldier of Love also having Sailor Mercury use the attack and the other Sailor's using the other attacks shown in this first opening. Several episodes early on in the Sailor Moon S season were dedicated to each of the Inners and it stands to reason that any of these would have given them their new attacks (This though is just my speculation). Cultural: "A mirage is a naturally-occurring optical phenomenon, in which light rays are bent to produce a displaced image of distant objects or the sky. The word comes to English via the French mirage, from the Latin mirare, meaning 'to appear, to seem'. This is the same root as for mirror. Like a mirror, a mirage shows images of things which are elsewhere. The principal physical cause of a mirage, however, is refraction rather than reflection. A mirage is a real optical phenomenon that can be captured on camera, since light rays actually are refracted to form the false image at the observer's location. The interpretation of the image, however, is up to the fantasy of the human mind, and is easily mistaken for a small puddle of water." 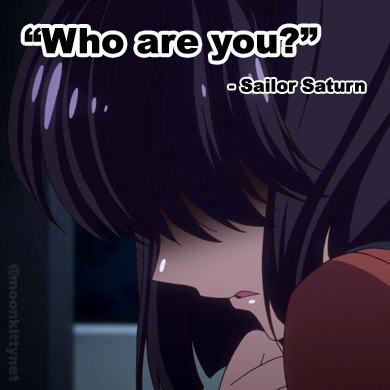 "Are the new Japanese Sailor Moon DVDs remastered?"